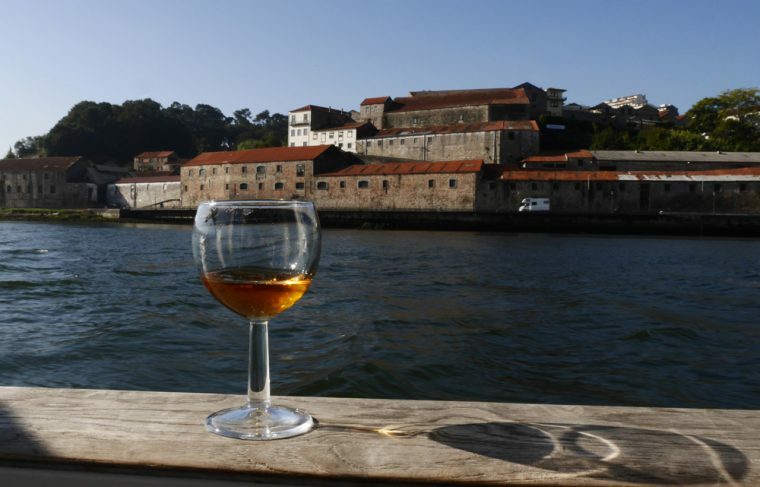 While for some, the whole point of Porto is Port Wine, there is a lot more to discover in this UNESCO World Heritage Site. 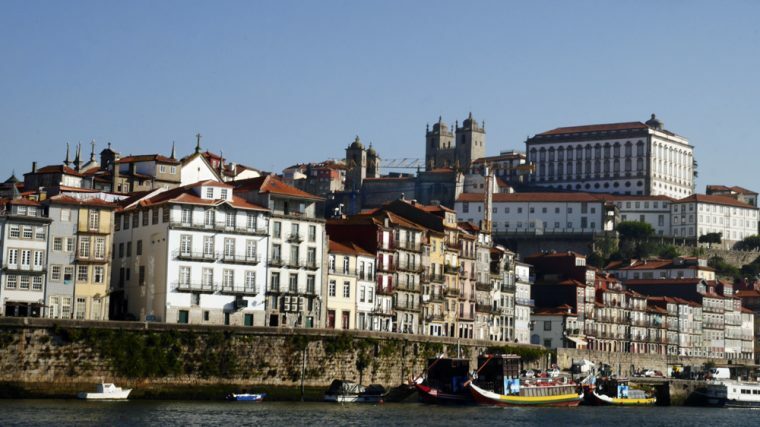 The second largest city in Portugal, Porto really does have a charming personality of its own. A brief visit in October last year has just left me wanting to find out more. I’ve already written about Port Wine. 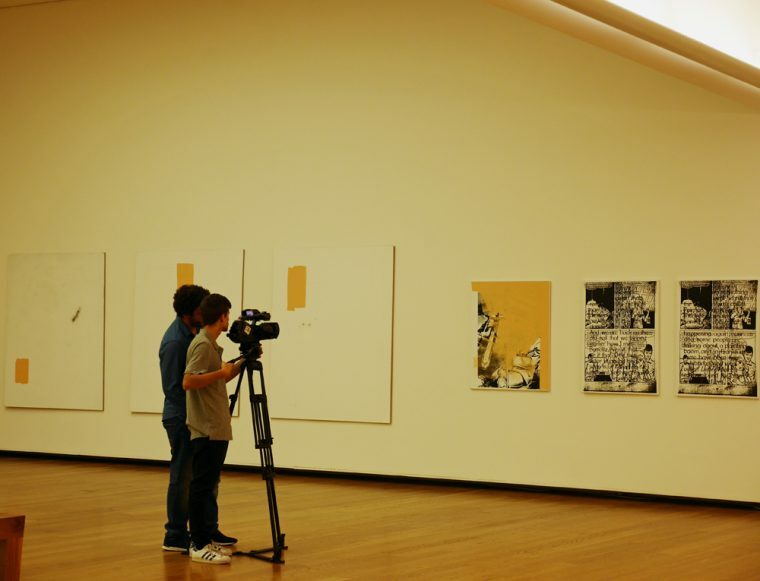 It’s worth knowing though that, for those who are looking for culture, Porto has plenty more to offer. 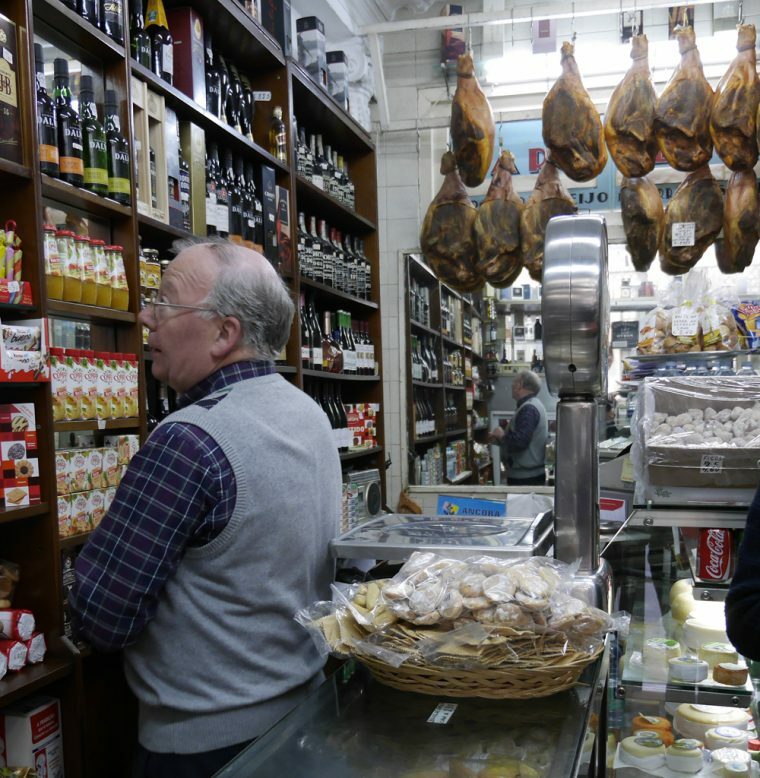 We discovered very quickly that Porto has an excellent food and drink offering. 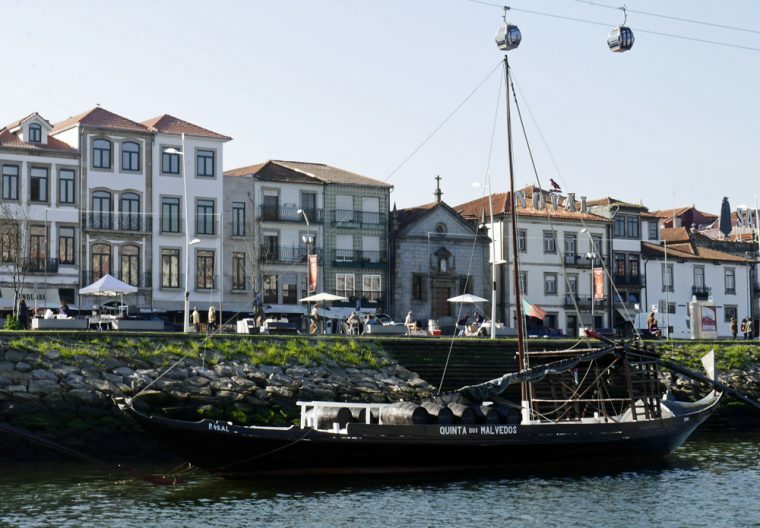 I’ve already written about the Port Houses in Vila Nova de Gaia, many of which have excellent dining options available. Please check my previous post for more information about those. 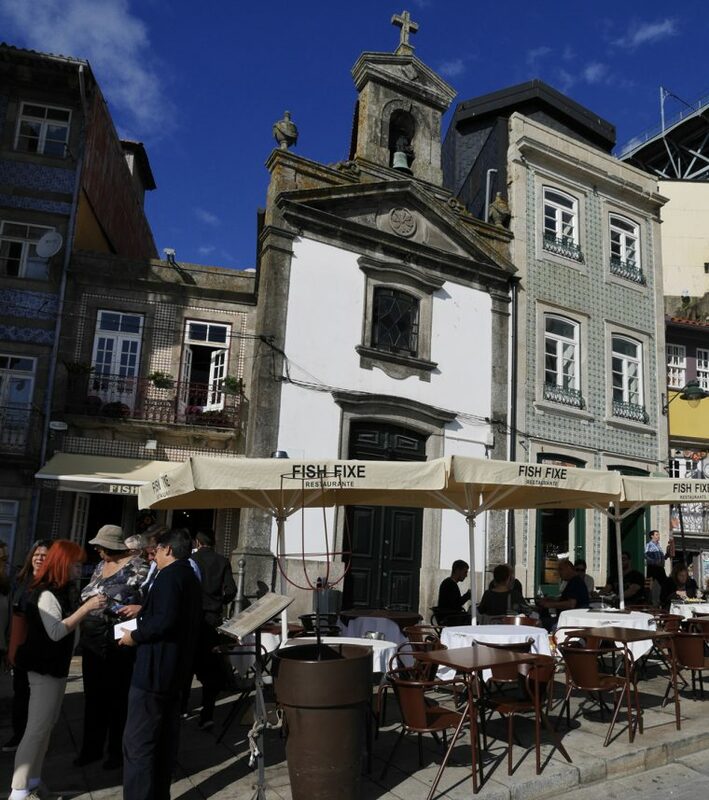 There are plenty more places to eat in Porto though which don’t take you into the Port Houses themselves. We particularly enjoyed the casual dining at the charming Fish Fixe. We feasted on tapas style portions of octopus salad, salt cod balls, tempura style salt cod, stewed mussels, smoked salmon, seafood rice and more. 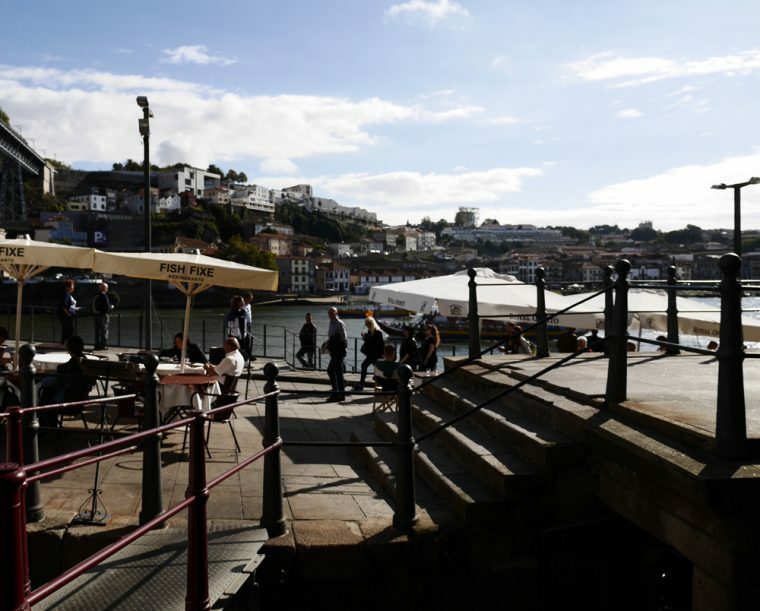 The restaurant is right on the banks of the Douro, so you can sit in the window and watch the boats passing along the river while you eat. Do make sure you try the salt cod balls and do save space for dessert – pudim abade de priscos which is a kind of caramel custard made with lard, port wine, lemon, cinnamon and sugar. 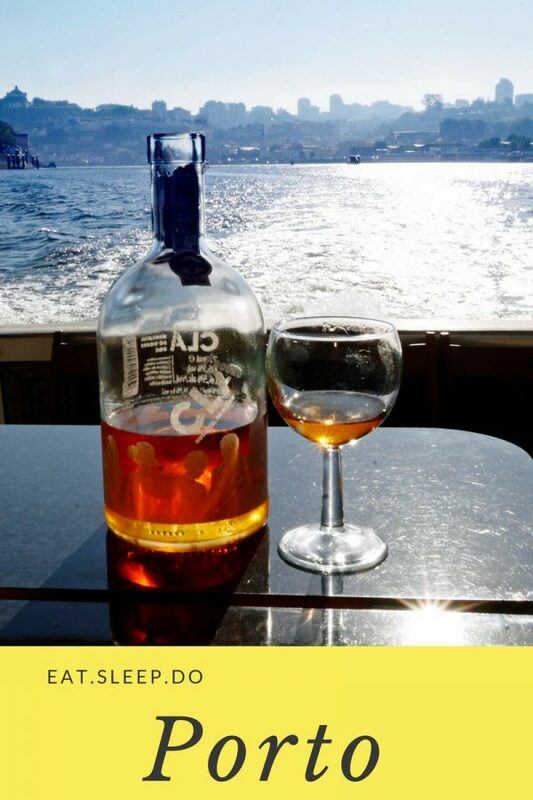 Invented in the 19th century it is now regarded as one of the quintessential tastes of Porto. 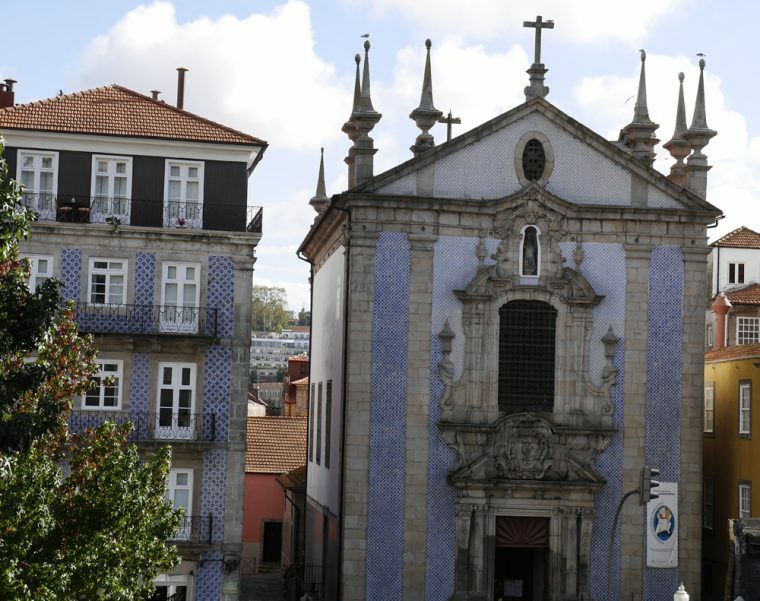 Or, just outside the Old Town, you’ll find Os Lusiadas, named after the eponymous epic poem by Luís Vaz de Camões. 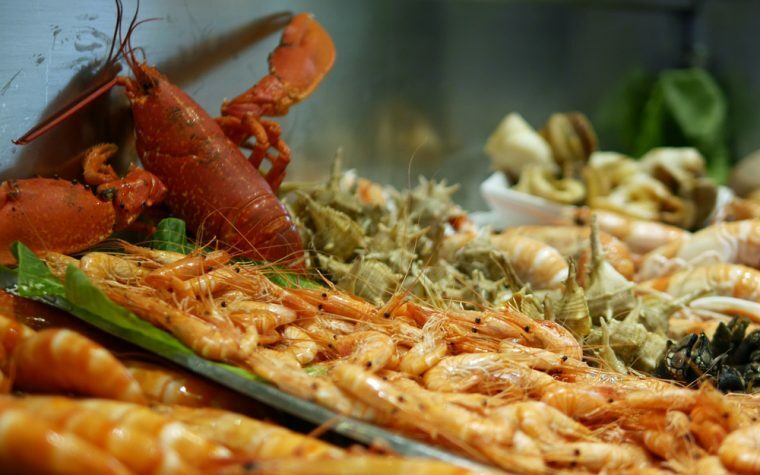 Here, in a relatively simple setting, you’ll find ultra fresh seafood served in simple, traditional recipes. 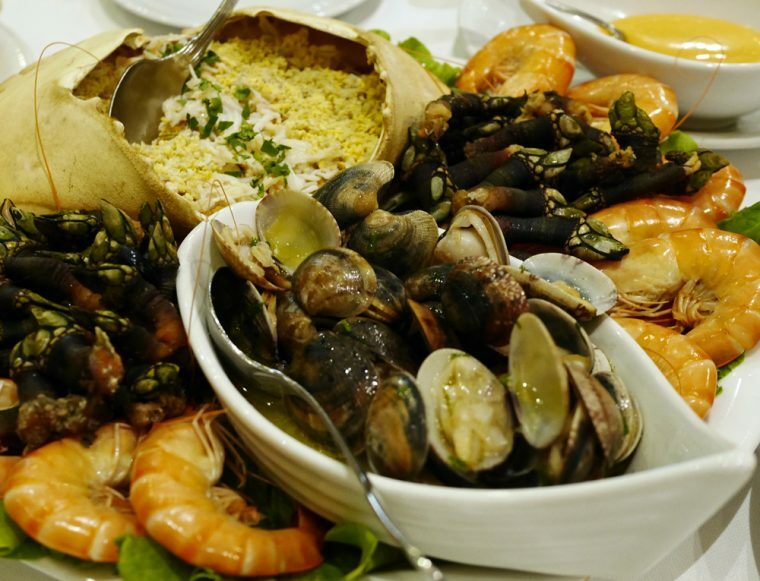 We enjoyed the massive mixed seafood platters with barnacles, stewed clams with garlic and olive oil and crab. And, the highlight of the meal was seabass cooked in a salt crust with mashed potatoes and salted vegetables. Somewhere to try if you want to avoid the regular tourist haunts, the place was full of Portuguese families out for the evening. The Old Town itself seems to be packed with delicatessens and tea rooms where you can buy a snack to eat on the go or sit down with a coffee and a pastry. When I get the chance to return, I’m definitely going to explore more of the food offerings on the outskirts of Porto. 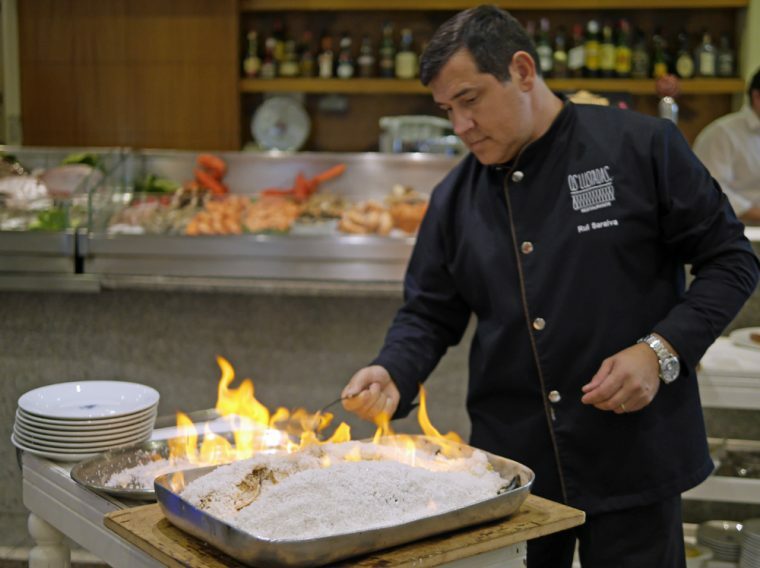 We had a chance to wander around the fishing village of São Pedro da Afurada for half an hour or so and passed a number of Tavernas getting ready for a lunch service of freshly caught fish grilled on a charcoal barbeque. 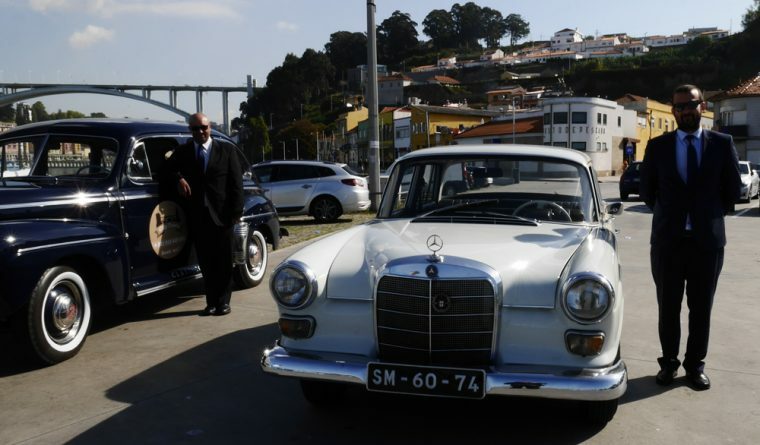 Do Porto – Culture and Heritage. 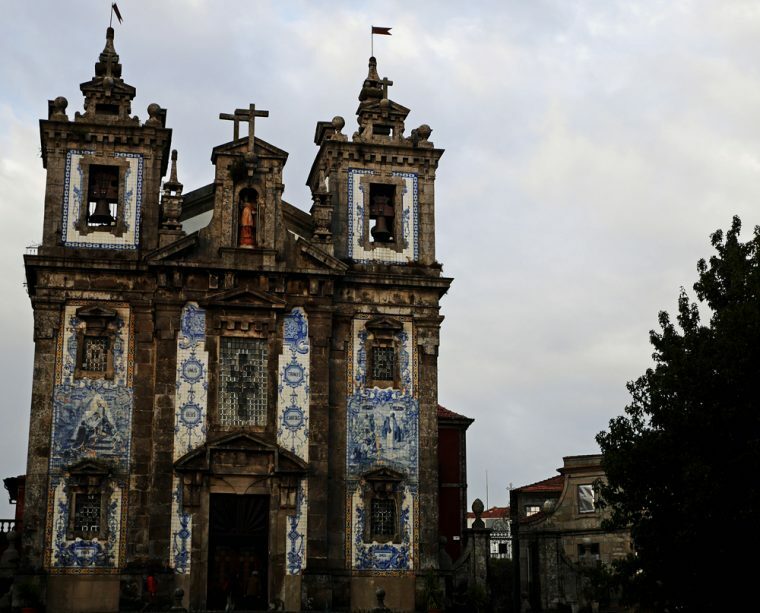 Moving on to ‘what to do in Porto’, São Pedro da Afurada isn’t a bad place to start. 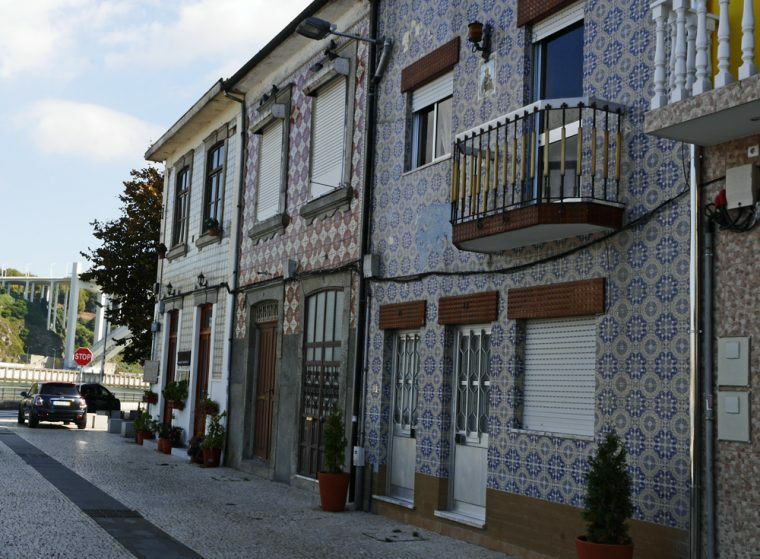 A small, traditional village on the outskirts of the city, you’ll find the old houses beautifully decorated with a seemingly random selection of Azulejos, which have both a decorative purpose and help to provide a stable temperature and waterproof the buildings. 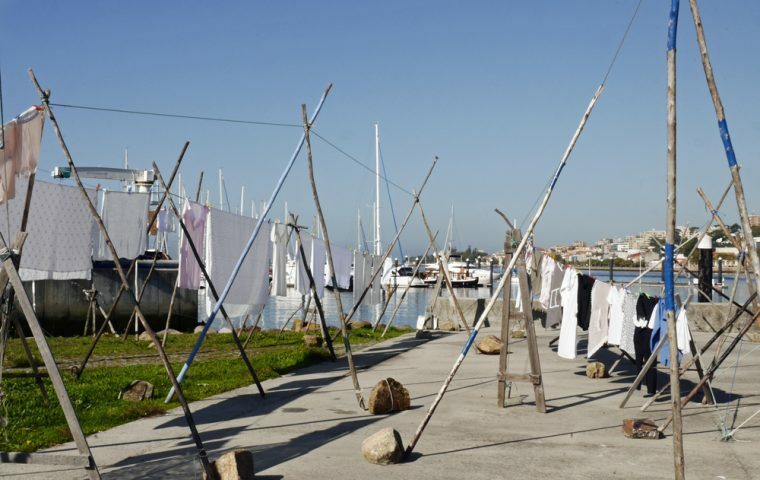 You may find washing hanging out to dry along the banks of the Douro. While the men of this village would fish for their living, the women took in washing from the wealthier inhabitants of Porto. The traditional communal laundry is still in operation too, using a special natural soap. 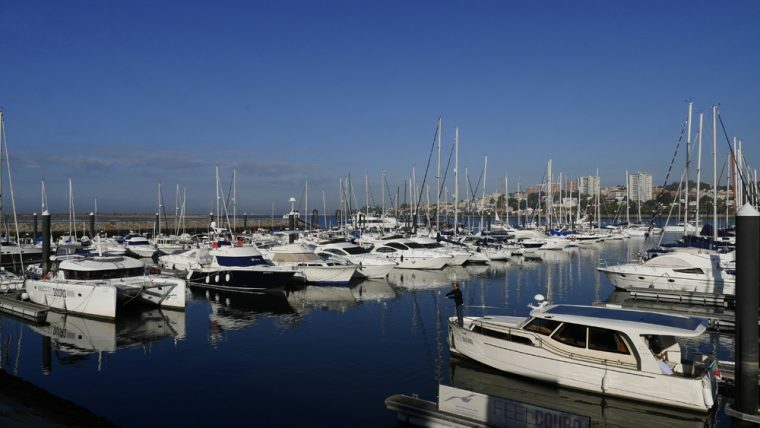 You can walk from São Pedro da Afurada to the Douro Marina. 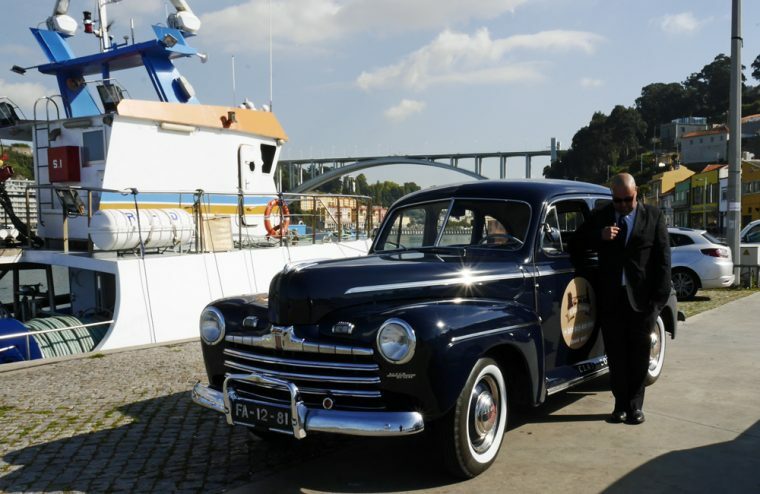 We enjoyed a river cruise with FeelDouro, a company which offers the option of private tours and cruises on the Douro, yacht charter and a variety of water based adventure activities. 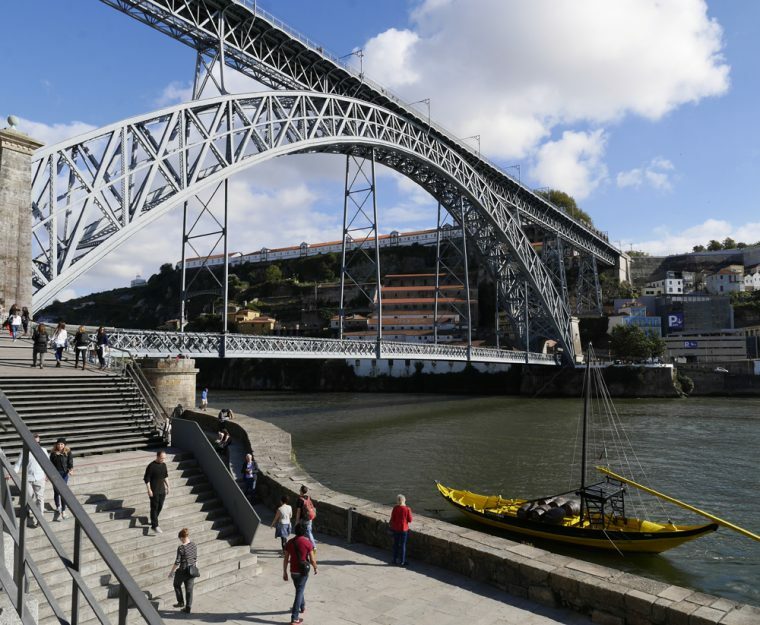 I’d recommend finding a way to spend some time on the river – it’s one of the best ways to get a feel for Porto, for the significance of the Port Houses and for the architecture of the traditional old city. 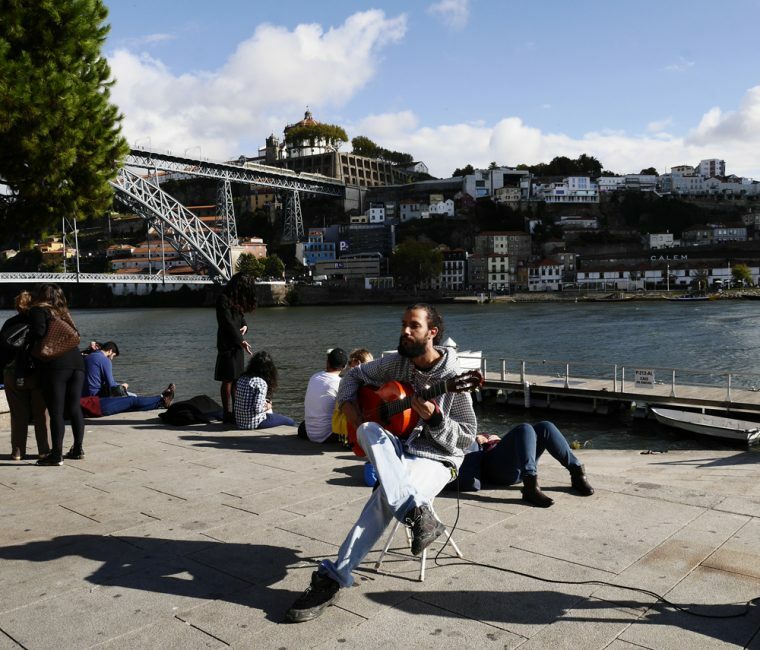 Even, if all you do is cross the splendid Ponte Luís I which opened in 1886. The bridge was designed by a student of the famed Gustave Eiffel and I’m sure you can see a resemblance? Or, take the cable car across the Douro. Both will give you a flavour of the City which you simply won’t get by staying on either bank of the River. 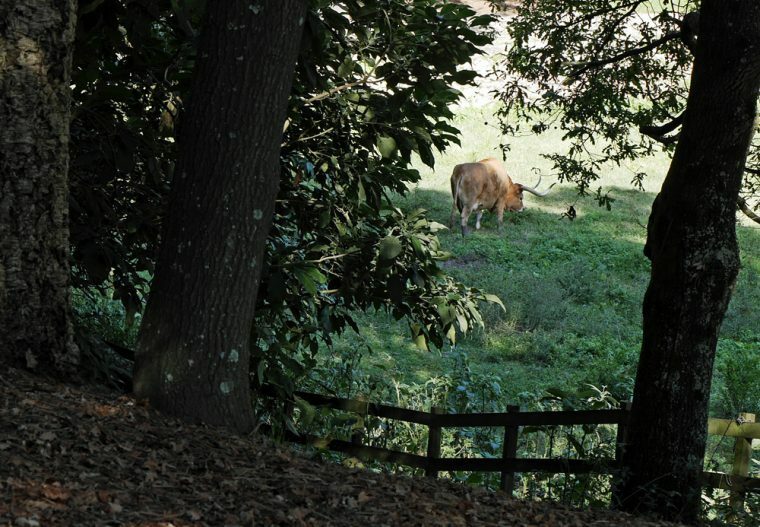 But, away from the river, there’s much, much more to see. 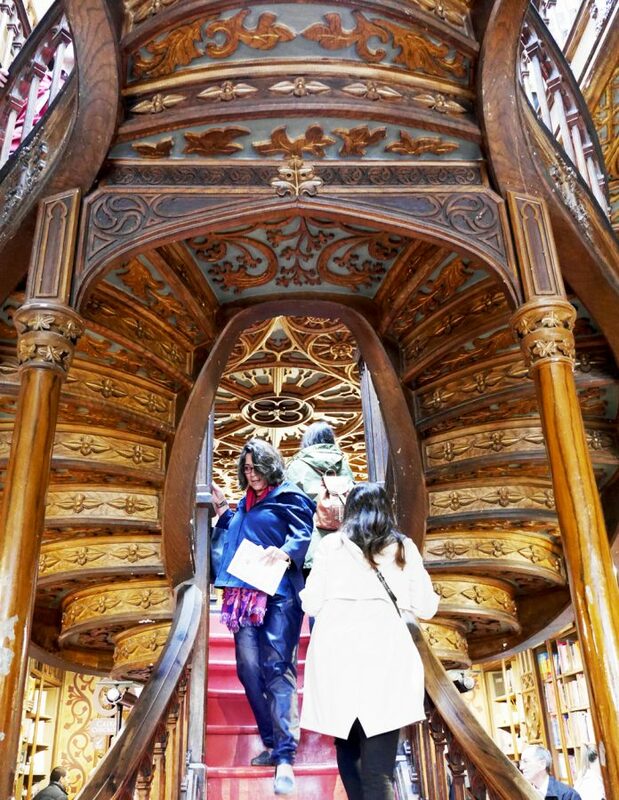 Any Harry Potter fan will know not to miss Livraria Lello & Irmão or Livraria Chardron, one of Portugal’s oldest bookshops. It is widely regarded as being one of the inspirations for J K Rowling, who lived in Porto in the early 1990s, working as an English teacher. And, the Hogwarts costume too, is said to have been inspired by the traditional outfits of college students in Portugal – a black suit and long black cloak. 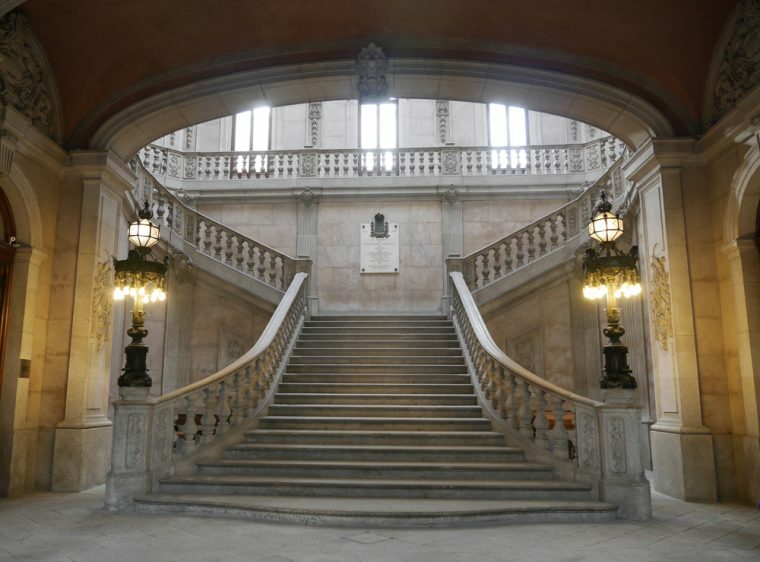 The shop now charges an entrance fee, but it is worth going inside to see the stunning staircase which looks to be made of carved wood but is in fact reinforced concrete with a plaster cladding. It is generally very busy and you may have to queue, even after you’ve paid the 5.50 euro entry fee. 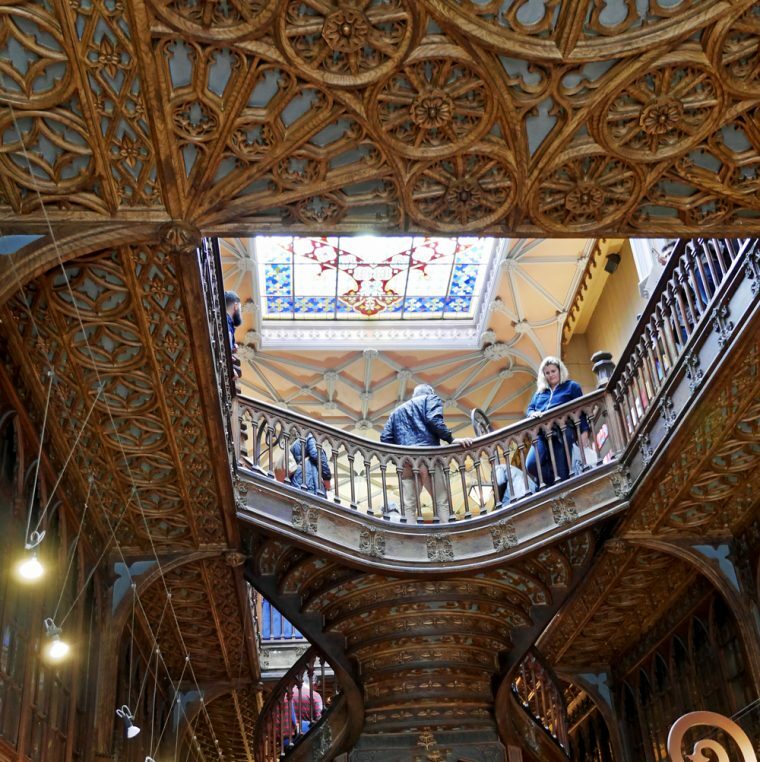 Originally opened in 1906, the neo-gothic facade, double height ground floor and galleried upper floor has remained largely as it was when Livraria Lello first opened. 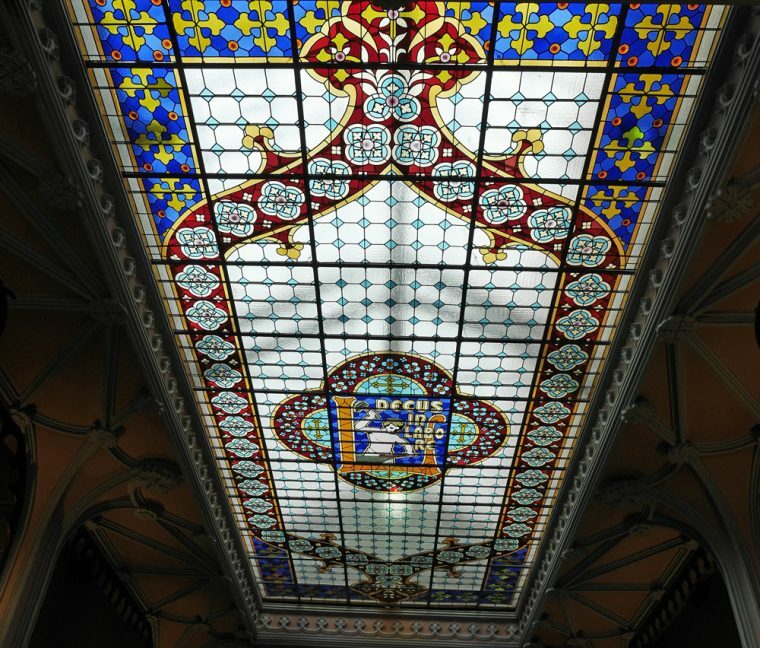 A stained glass skylight floods the upper floor with light and the walls are lined with ornately carved polished wood. Lonely Planet considers it to be the third most beautiful bookshop in the world. 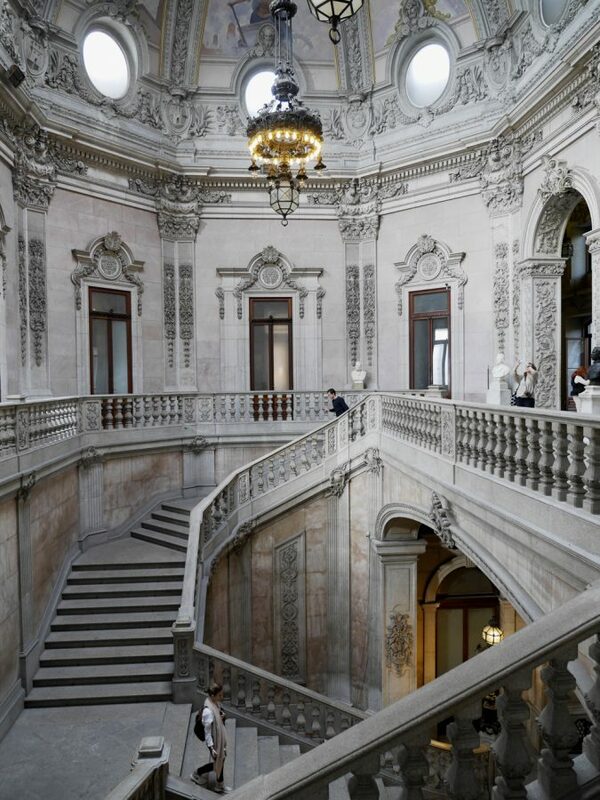 Another ‘not to be missed’ place in the old town is the Palácio da Bolsa (the Stock Exchange) which was built in the 19th Century by the city’s Commercial Association. 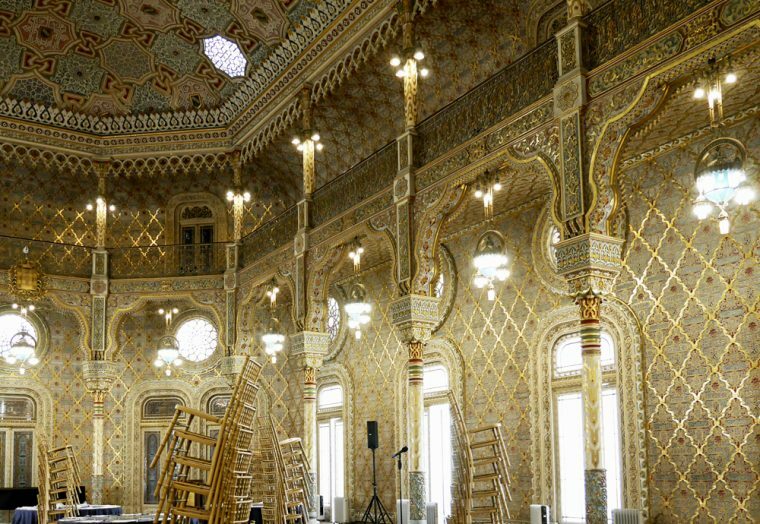 You need to join a guided tour to see the interior, but it’s definitely worth doing, even if you only go to see the stunning ballroom known as the Salão Árabe (Arabian Hall), where the walls have been decorated in Moorish designs and then gilded with real gold. It’s worth taking some time and just walking around the old town too. 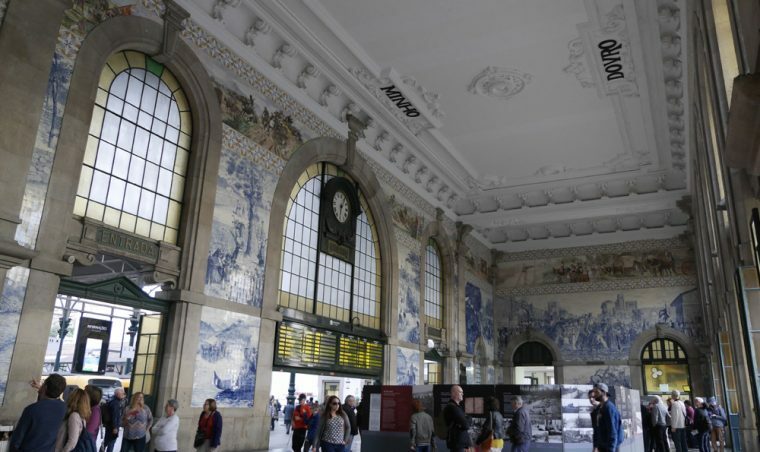 Even the São Bento train station is beautifully decorated with azulejos. There are so many not-to-be missed churches decorated in stunning azelejos, so many pretty fountains, towers and ornate houses. Proclaimed a World Heritage by UNESCO in 1996, I have every intention of going back and spending more time just wandering around the narrow winding streets. Our own trip was just a taster, but the company offers half day tours in their vintage cars with liveried drivers. It’s a fun way to travel – and definitely a good way to take life easy for a few hours. We took the opportunity to travel to the Fort of São Francisco do Queijo, (the Castle of the Cheese – so named because of the cheese shaped rock it is built on). 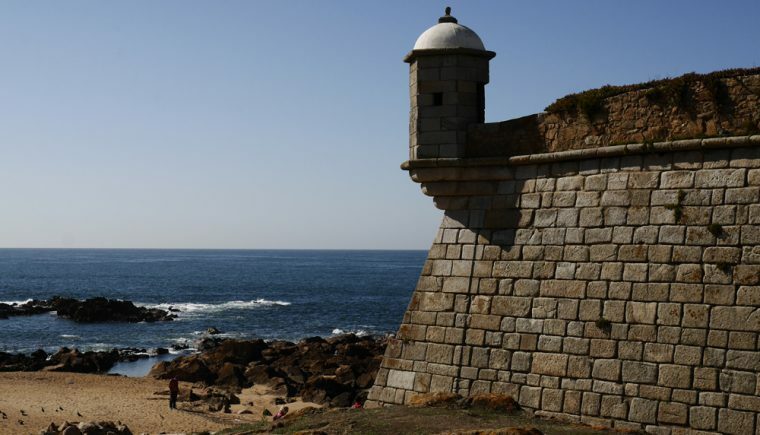 It is just outside Old Porto in Nevogilde and beside the fortress itself with a small museum inside, there’s a beach. 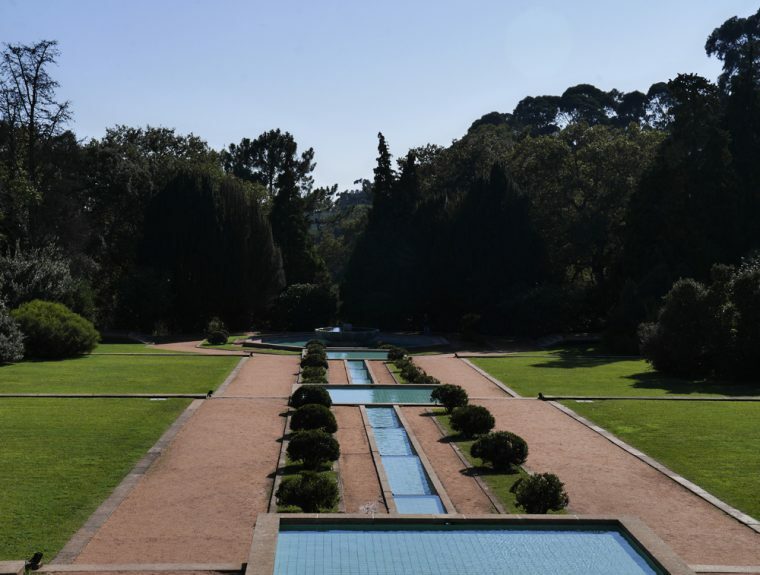 Classico Porto have a range of trips including one will take you to the Serralves Foundation, a spectacular museum, park, heritage farm and house on the outskirts of Porto. Our own visit there was by conventional minibus, but that didn’t stop it being any less worthwhile. 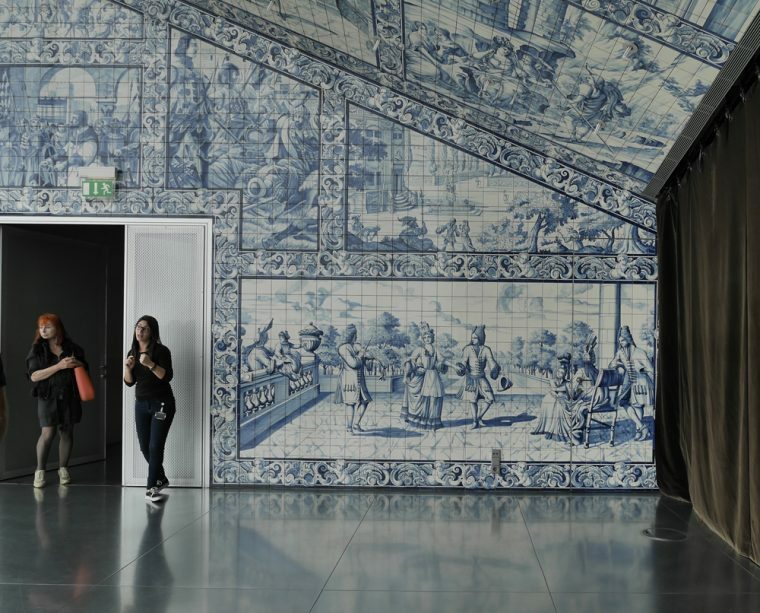 Considered to be one of Portugal’s leading cultural institutions, the entire architectural and landscape heritage was classified as a National Monument on December 6th 2012. To me, it felt as if I’d suddenly been transported to the west coast of the USA. 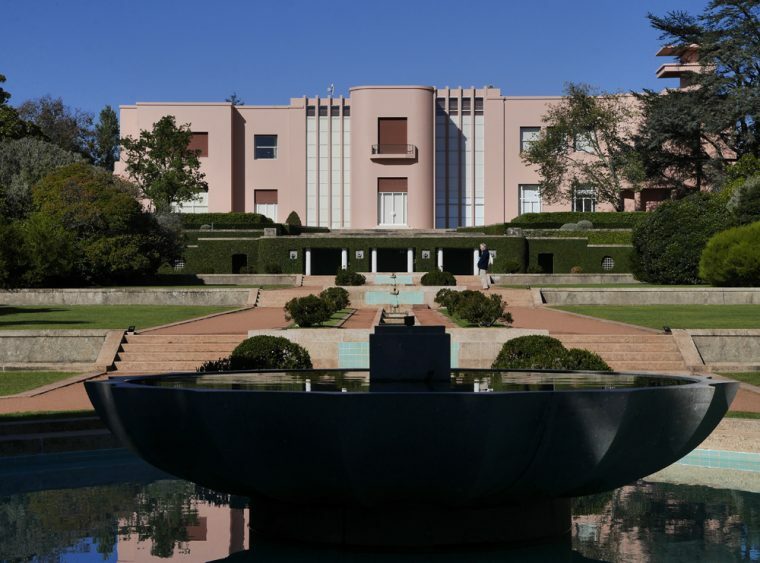 The Museum of Contemporary Art was designed by Álvaro Siza and the gardens designed by Jacques Greber and Serralves Villa. I have a feeling if I lived in Porto I’d spend a lot of time just wandering around the peaceful gardens. 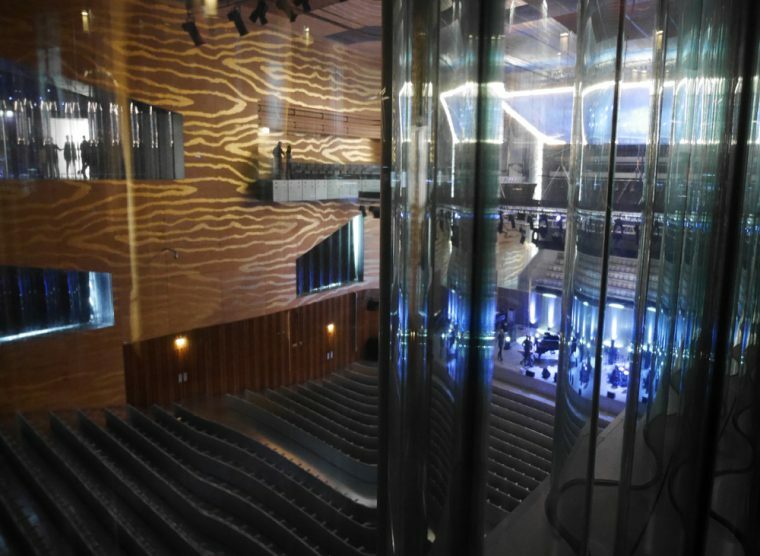 The Arts are definitely well catered for in Porto, with the architecturally stunning Casa da Música providing a unique space for the production and performance of all types of music. 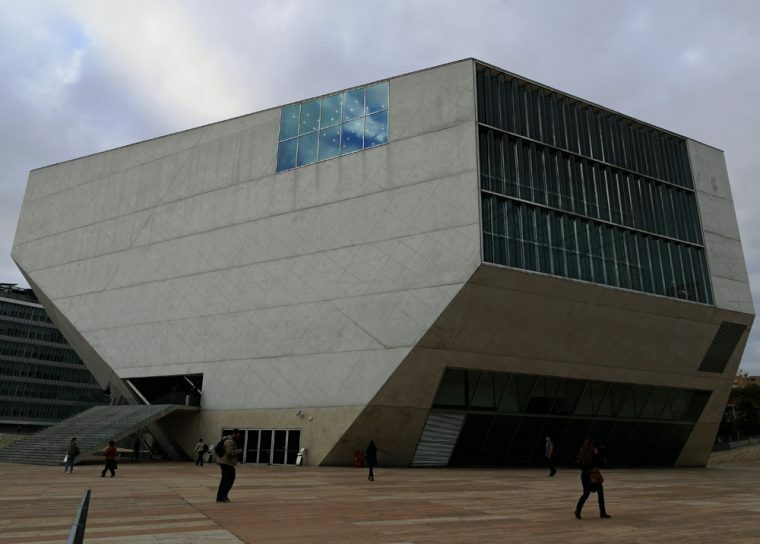 Designed by Dutch architect Rem Koolhaas, it does look, apparently intentionally, like a large meteor from the outside. Inside there are many unique and innovative acoustic design features so that various rooms can be used simultaneously without any danger of noise pollution. By the end of our 48 hour tour of Porto, I was left realising there was a lot more to see and do. And, that what we had experienced for the most part warrented going back and taking more time. It is the sort of place where I want to just sit with my legs dangling over the river banks, listening to the buskers and watching the world go by. We stayed at the Sheraton Hotel, just outside the old town. It’s a modern hotel with excellent spa facilities and I managed to sneak in a good couple of hours using the pool, hydrotherapy pools and sauna. 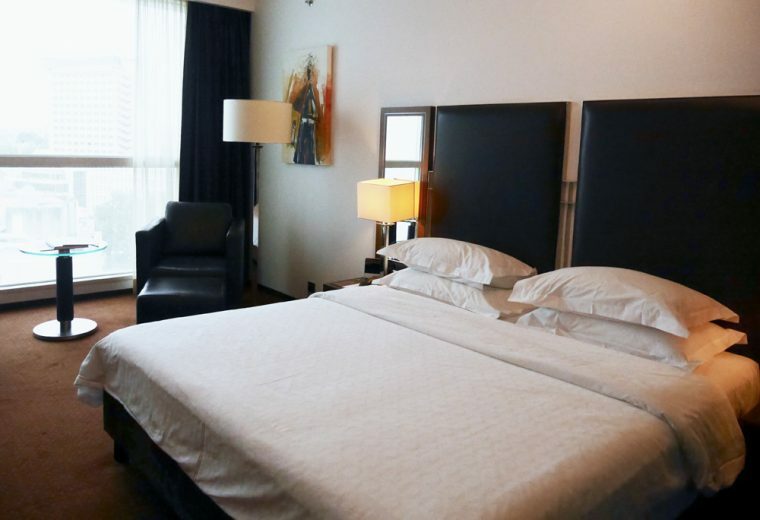 An alternative, if you are looking for a more central location would be to stay at Hotel NH Collection Batalha in the old town. It’s a newly renovated 18th century palace which was once the home of a prominent wine producing family. 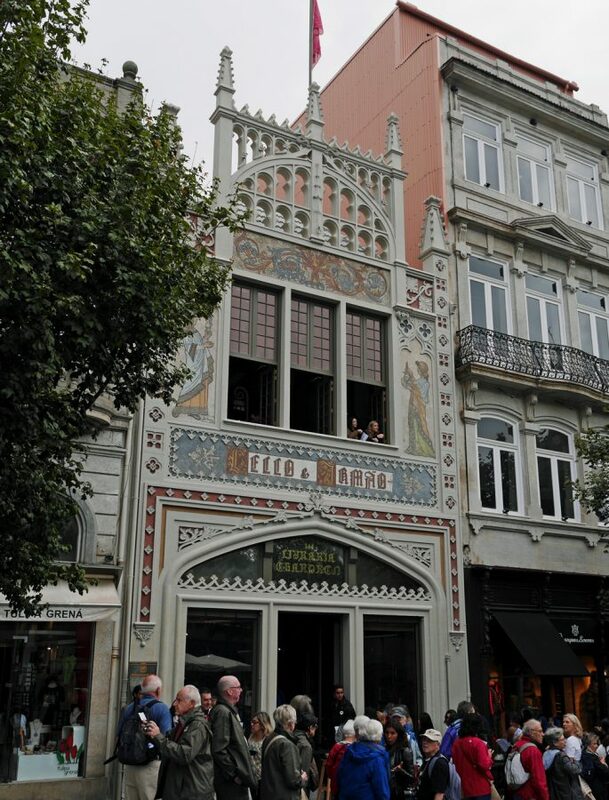 If you plan on seeing Porto by foot, it might be easier to stay within the old town and this charming hotel really does have the feel of old Porto. 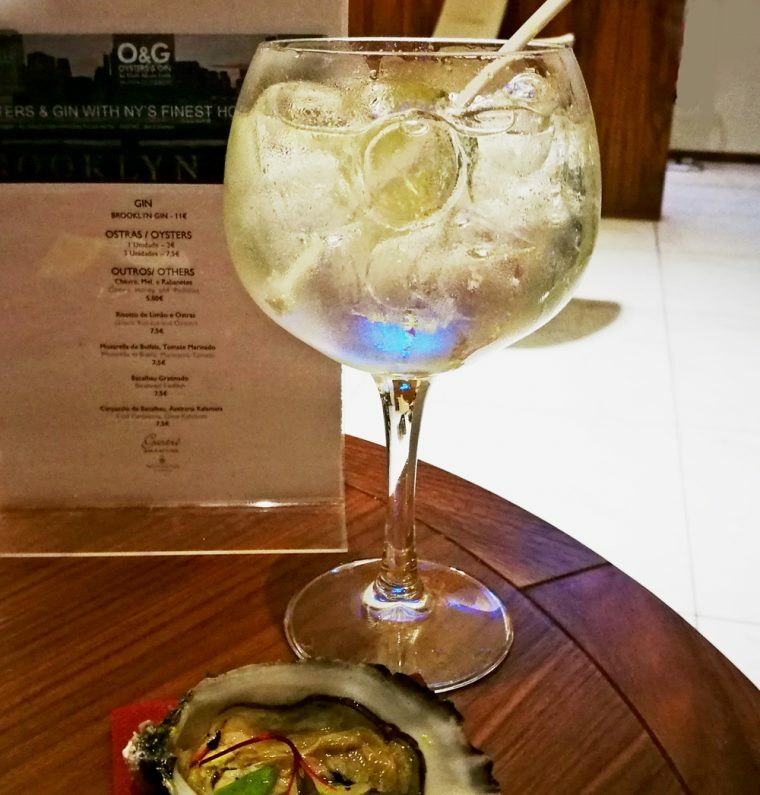 We popped in for gin and oysters (an excellent idea if you are in need of a little break in the late afternoon) and were charmed by this heritage hotel. 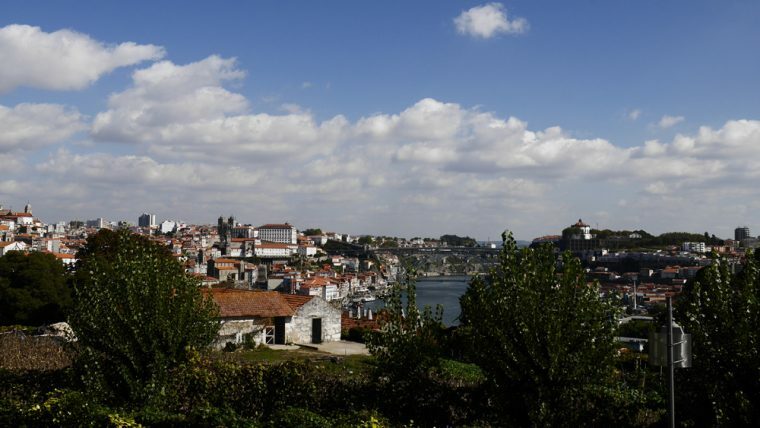 Or, if your interest is learning more about Port, then staying in Vila Nova de Gaia would be the obvious choice. The Yeatman Hotel comes highly recommended and is part of the Taylor’s estate there. 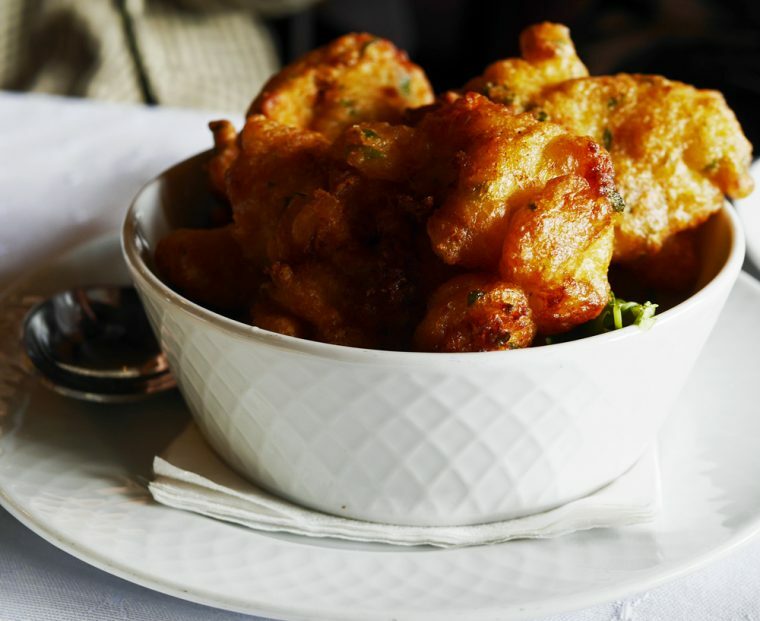 These salt cod balls look delicious. I went to Portugal a long time ago but didn’t go anywhere like this! Don’t think we got to explore much but I would love to go and see places like these! Fab post. I love Sheraton hotels. They are always so nice.